If you are a resident of New York looking to buy your first home, there is some good news. 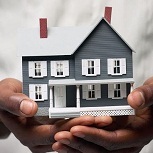 There are a variety of incentives and programs available to you through The State of New York Mortgage Agency. They offer five mortgage programs to assist first-time homebuyers with the purchase of a home in New York State. Their five mortgage programs feature competitive interest rates, low down payment requirements, flexible underwriting guidelines, no prepayment penalties and various forms of help with the down payment . Each of these features is designed to make your home purchase more affordable. All SONYMA loans are financed through the sale of tax exempt bonds. It will be well worth your time to educate yourself about the programs available to New York residents. 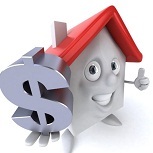 The primary agency in New York that exists to help first time buyers is The New York State Housing Finance Agency. The State of New York Mortgage Agency (SONYMA) offers five mortgage programs to assist first-time homebuyers with the purchase of a home in New York State. In addition to the grant programs described above, the U.S. Department of Housing and Urban Development provides home buyer assistance and grants in every state. There are multiple grant programs designed specifically for individuals and families that meet certain requirements, such as grants for people with disabilities so they can continue to live independently at home. It is well worth visiting HUD’s website to see what assistance is currently available to help buy your first home. For your convenience, simply go to this website. 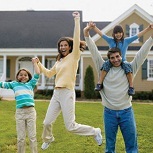 AHP offers a variety of down-payment assistance programs of its own. In addition, we’ve compiled this list of programs offered by municipalities and other nonprofit organizations throughout the region. Many (though not all) of these programs use HUD income limits. Confirm details and availability with each provider. The First Ward Redevelopment Plan is a community planning initiative facilitated by the Department of Planning, Housing & Community Development, and funded by a Brownfield Opportunity Area grant from the New York State Division of Coastal Resources. HomeFront, Inc. provides potential low to moderate income clients with the opportunity to apply for the City of Buffalo’s American Dream Downpayment Initiative (ADDI) grant as well as the Federal Home Loan Bank (FHLB of NY) of New York’s down payment and closing cost assistance program. This grant provides income eligible clients, who are interested in purchasing a home in the City of Buffalo, with a grant of up to $5,000 for down payment and closing costs associated with purchasing their home. The Federal Home Loan Bank of New York (FHLBNY) has awarded a $520,000 affordable housing grant to Fairport Apartments, Inc. “With this affordable housing award from the Federal Home Loan Bank of New York, the Fairport Apartments will ensure that we are providing our seniors with safe, stable and affordable housing,” said representative Eric Massa (NY, 29). Today, aided by Federal, State and Foundation funds, NWNA administers a variety of programs for neighborhood revitalization including loans and grants programs for housing rehabilitation. City wide programs include the Near Westside Home Improvement Program and the City of Elmira HOME program, funded by NYS AHC & NYS HTFC, these programs provide a portion of the cost for rehabilitation of owner occupied homes within the City of Elmira. The “One House at a Time” program allows NWNA to purchase a significantly deteriorated house and complete substantial renovations. Once renovations are completed, NWNA sells the home to a low to moderate-income homebuyer. NWNA also administers a “One Block at a Time” Program and a Historic District Paint Program, both of which are limited to the Near Westside Historic District. The Department of Community Development offers housing rehabilitation grants for low to moderate income families and sponsors a first time homebuyers program. All services are for the City of Glens Falls residents only, with the exception of the first time homebuyer’s program. Community Development has many housing programs to offer income qualified town residents. All programs are bound by confidentiality! Funding for the town’s programs is provided by the U. S. Department of Housing and Urban Development (HUD) through the Community Development Block Grant Program (CDBG), the Home Investment Partnership Program (HOME) and the American Dream Downpayment Initiative (ADDI). Owning a home is a dream shared by many Americans, and in fact, by people around the world. Within its 13-county service area, Sheen Housing has assisted numerous families of all ethnic backgrounds and with varying degrees of financial resources to achieve that goal of home ownership. Sheen Housing does this by providing housing counseling, pre- and post-purchase/homebuyer counseling, foreclosure prevention/default counseling and closing cost assistance. Western Catskills Community Revitalization Council, Inc. was founded in 1981 and has concentrated its efforts on the creation of new housing and the improvement of existing housing and mixed use commercial buildings. Western Catskills targets housing programs that will best serve the needs of the low and moderate income residents of their service area. Toward that end, Western Catskills has developed, owns, and manages two 24 unit low/moderate-income senior housing projects, one in the Hamlet of Grand Gorge and one in the Village of Stamford. Western Catskills administers grants to first-time home buyers through the Affordable Housing and HOME Programs to assist families with the purchase of their first homes and grant funds to assist low/mod income families with much needed repairs and renovations to their homes with funding provided by The New York State Affordable Housing Corporation, The New York State Housing Trust Fund Corporation (HOME), and the CDBG program. Provides first-time homebuyers with federal funds for a portion of the downpayment 75% downpayment assistance is available towards the purchase of a principal residence, up to a maximum of $14,000 or $12,000, depending on income level. Serves the towns of Brookhaven, East Hampton, Huntington, Riverhead, Smithtown, Southampton, Southold, and Shelter Island. Call for more information. The major goal of the University Neighborhood Preservation Association (UNPA), is to help families and individuals purchase a home. 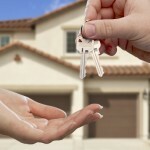 Depending on available funds, UNPA can provide potential homeowners with a grant to help with mortgage closing costs. Our only requirement is owner occupancy. Homes in the University Neighborhood are varied and appealing. Most are single-family dwellings, but many two- and three-family houses are available. Rural Ulster Preservation Company (RUPCO) was organized in 1981 by a small group of concerned residents serving the low income community who were aware, viscerally, of a need to improve and increase housing in Ulster County. The organization was spun out of the Community Action Agency and continues to serve on a county-wide basis. Broadly, the services are focused in the following areas: emergency financial assistance, rental assistance, single family home rehabilitation, new home buyer assistance, multifamily home rehabilitation, and as a developer/owner/manager of rental properties for the elderly, disabled, handicapped and households with special needs. Keuka Housing Council’s Board of Directors and Staff review the needs of the community including the need for essential repairs to preserve aging homes, the provision of housing for modest income individuals/families, foreclosure prevention counseling and the necessary training for the Board and Staff to meet these needs. This entry was posted in Down Payment Assistance, First Time Home Buyer Grants, First Time Home Buyer Info, First Time Home Buyer Programs and tagged American Dream Downpayment Initiative, Community Development Block Grant Program, Federal Home Loan Bank of New York, housing grants, New York first time buyer programs, New York State Affordable Housing Corporation, New York State Housing Trust Fund Corporation. Bookmark the permalink.